Intending to bring out the exquisite as well as the aesthetic characteristics of the ‘Land of Festivals’ Nagaland, the Hornbill Festival is a showcase of its valuable culture and heritage. This celebration facilitates the participation of the varied tribes belonging to Nagaland and is majorly recognized as a highly thronged occasion accompanied with the visits of the travellers from all across the globe. 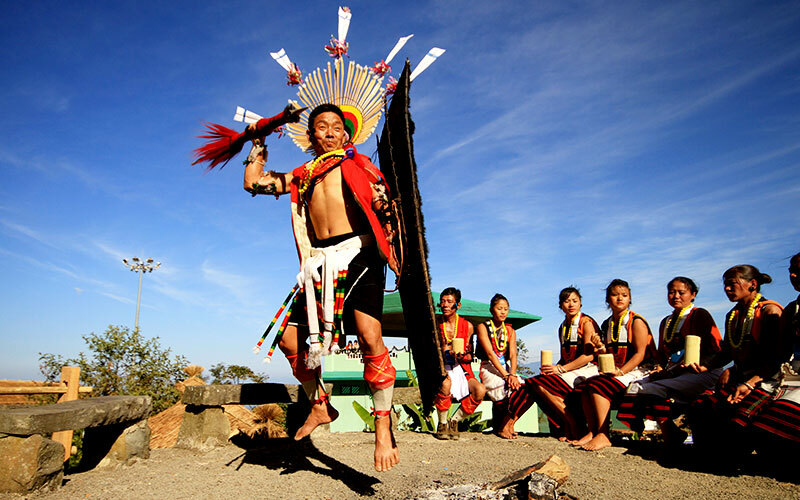 Held from 1st till 10th December every year, the Hornbill Festival Tour of Nagaland is prevalent to let you attain an opportunity for immersing in a journey to witness each and every single associated with Nagaland’s culture through this weeklong event. Note : The itinerary presented below is just a suggested one however, they can be tailor- made according to your set preferences. You can surely get in touch with us in case you are looking forward to be a part of the Hornbill festival 2019. Arrive at Dimapur airport and there you will be meeting our Max Holidays who will be present there to greet you. After that get an assisted transfer to Kohima and then check in at your pre-booked hotel/camp/homestay for an overnight stay. 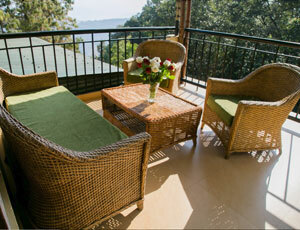 Have some luscious breakfast at your stay and then head towards the sightseeing of Kohima. Firstly, visit the Kohima War Cemetery and once done, explore the highly unique State Museum. 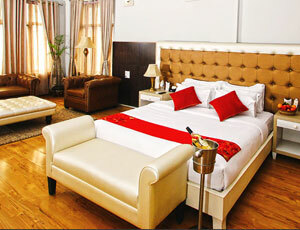 Get back to your hotel once you are done with the day and then stay overnight there. This day marks the start of your experience in the unbelievable Hornbill festival 2019. 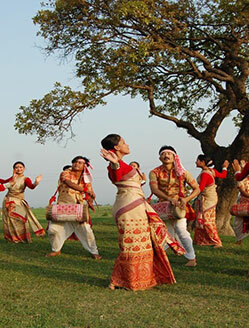 Indulge in a drive for reaching Kisama village and being a part of this festival there. 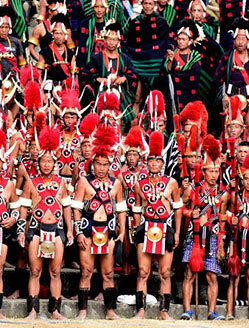 Here, you will be witnessing the 16 tribes of Nagaland showcasing the art of their vibrant culture. You shall have abundant sights of paintings, handicrafts, folk music and dance forms, cuisines, attire and other varied elements of this amazing event. You are going to feel awestruck not solely by the music and dance, but also by the unique exhibition of handloom and handicraft too. Apart from this, be a part of a variety of contests such as the chilly eating contests, climbing the greased bamboo pole, wrestling etc. Return back to Kohima for having some luxurious lunch and after that you can either opt to take some rest or go back to the Hornbill festival for enjoying the remaining activities. You can enjoy the bands at night or pass amidst the local bazars and indulge in some shopping of Nagaland’s handicrafts and other stuff. Once done, return back to your hotel for overnight stay. 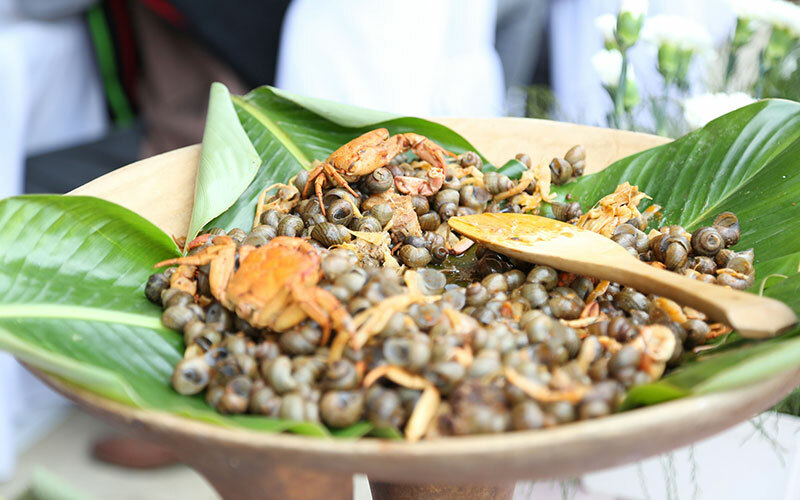 Once done with the flavourful breakfast, head towards the highly favoured Hornbill festival in Nagaland. Enjoy the enthralling beauty of this celebration and then return to Kohima for some lunch. After that, you can either return to the festival or explore the Kigwema Village. The houses here are made in a highly impressive manner with the help of some wooden pillars and are a great sight to behold. Walk through this village’s lanes and you can also communicate with the locales there while sipping a traditional cup of tea. Later, during evening you can be a part of Kohima’s festivities and then return your stay at Kohima for spending overnight there. Today is the last day of your Nagaland festival tour. Have some luscious breakfast and then you will be getting an assisted transfer to the Dimapur airport for flying back to your onward destination/home. "Kisama Heritage Village has morangs that showcase the life of the various tribes in Nagaland. Very well organised festival at the in the first week of December. The food, the dances, the songs, their costumes and jewelry are on display." Naga’s in their tribal costumes fantastic opportunity to see them." "The annual festival of the Nagas tribes is celebrated In Kisama Village, a place of meeting and coexistence of the tribes that until recently fought with each other." 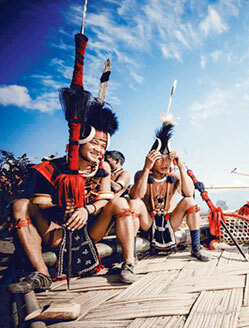 "In Kisama Village all 16 tribes being present in one place, At least when Hornbill festival takes place. Or less every day fashion is a must to se. I do not like artificial villages, but I have to admit, this one is an exception. " Encompassing Myanmar to east, Manipur to south, Assam to west and Arunachal Pradesh to north, Nagaland is no less than a miraculous spot for the travellers since you can find every satisfactory element in the varied provinces of this magical state. Each and every community lying here is a passionate celebrator of the myriad festivals making it recognizable as the ‘Land of Festivals’. During early days of the Hornbill Festival, it had tenure of 7 days but on witnessing its worldwide reach as well as grand success in attracting good number of visitors every year, three more days got added to its time period and thus, it is now a celebration extending for 10 days. The Hornbill Festival is not solely a showcase of the noteworthy traditions in Nagaland but is also a perfect way to communicate with the locales there and also get to know about their unique lifestyle as well as explore the hidden sights of this place. The visitors will have abundant glimpses of the vibrant Naga culture and heritage during the innumerable activities in this occasion through a plethora of excitement as well as extravaganza. This festival is celebrated with huge fervour and is named after the state’s most idolized bird species Hornbill whose significance is narrated in majority of the dances, songs and other performances during this festival. It is really noteworthy that despite of the modernity hitting in, the people of Nagaland are able to preserve their culture and that too in an eminent manner through these kind of festivities which have enable the tribes to keep their traditions enlightened and their presence prominent in the hearts of visitors. 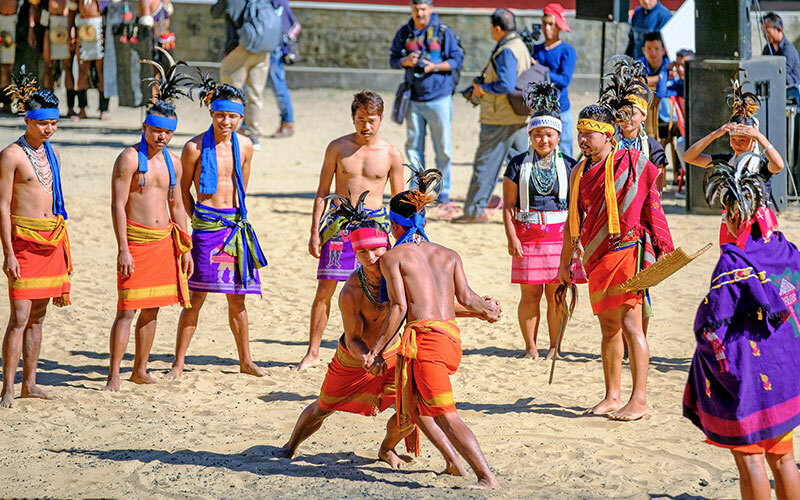 The Hornbill Festival in Nagaland is a sheath to an amalgamation of intriguing activities such as tribal dances, local games, chilli eating competition, pork fat eating competition, fashion shows, music and dance performances, cuisines’ stalls from varied regions, wrestling etc. You will be witnessing the tribal people accompanied with some weapons and looking stunning in their traditional outfits. 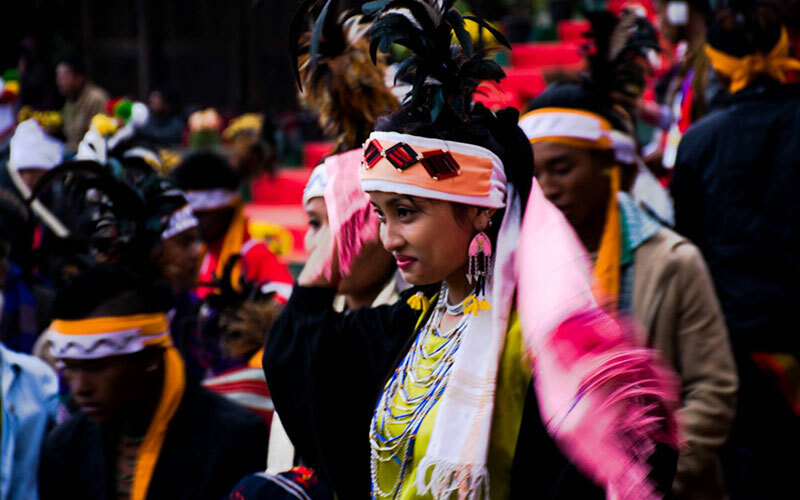 Every year, the Hornbill festival is celebrated with great enthusiasm in the Heritage Village (commonly recognized as Kisama) that is located approximately 12km far from Kohima. The model village holds great significance in every one’s heart not just because it is a tourist’s attraction but also because its shape resembles to the map of Nagaland. Kisama is never ever going to give you even a single dull moment during the whole festival and apart from that this village is a perfect place to spend some quality time in. Each tribe has set up its own tribal houses (also known as murongs) with the aim of representing their existence in the geographical regions of Nagaland. The Dimapur Airport is the nearest airport that is located at a distance of 74 kms from Nagaland and is an operator of only the domestic flights with its direct flights being connected to Kolkata and Guwahati. 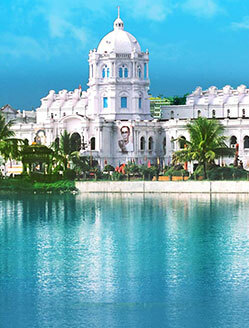 This means that the passengers have to first de board at the airports of Kolkata or Guwahati and then board a connecting flight from there in order to reach Dimapur. 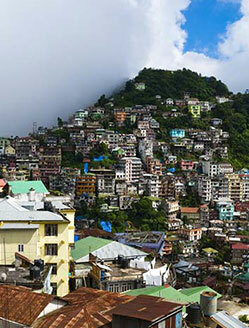 On reaching Dimapur, you can hire a taxi and indulge in a two hours’ drive for arriving at Kohima. Also, in case you are in a hurry then you are also free to opt for a 30 minutes’ helicopter ride. The sole city in Nagaland that is connected with the Indian railways is none other than Dimapur. On reaching there, you shall then have to board a shared or private taxi/state transport bus in order to arrive at Kohima. From there, it shall take about 3-4 hours for you to reach Kohima totally depending upon the road conditions. There exists a fine network of roads which are connecting it to majority of its neighbouring states as well as the cities. Kohima is linked with Meghalaya, Tripura, Mizoram, Manipur and Arunachal Pradesh by National Highway Number 39. Apart from this, some significant cities such as Guwahati and Shillong are also connected with other towns by prominent state highways. The humidity level in Nagaland is quite high and apart from that there is the prevalence of monsoon climate in its areas. Rainfall is witness during the months of May to September and mentioning about the average rainfall, it is nothing less than 70-100 inches. During wintertime, temperature goes as low as 4 degree Celsius while on the other hand, during summertime, it remains somewhere in between 16 °C to 31 °C with this season lasting only for a shorter period of time i.e. few months. 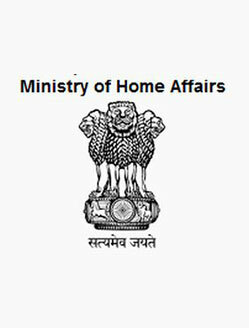 Right from April 1 2018, the Protected Area Permit’s (PAP) relaxation was facilitated by the Ministry of Home Affairs (MHA) to the foreign visitors except those from China, Afghanistan and Pakistan who are intending to visit Manipur, Mizoram and Nagaland and the permit’s validity will be having an extension up to 5 years. According to the Foreigners (Protected Areas) Order that was initiated in 1958, each and every area that was spotted between the International Border as well as the Inner line was being considered as a protected one. 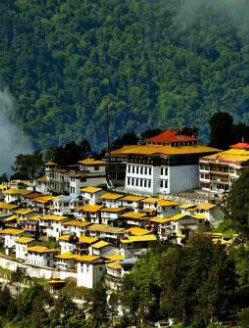 These states are Mizoram, Arunachal Pradesh, Uttarakhand, Rajasthan, Jammu & Kashmir and also some areas of Sikkim. However, as assumed it has been notified that this relaxation is going to be permitted in other remaining states too. During the earlier days, these guidelines were strictly followed and thus, no foreigner was allowed to enter the restricted areas without the allowance from the government until and unless they it has not confirmed that there is no existence of any extraordinary reasons for his/her visit to those areas. Foreigners (except those belonging to Bhutan) who are intending to stay in those special areas have to get a permission from the authority who is responsible for the issuance of such permits. In other case, if the citizens hailing from Pakistan, China or Afghanistan would be provided no permit without the permission of the Union Home Ministry. The Government of Nagaland is responsible for issuing the Inner Line Permit (ILP) that is an official travel document serving an intention of allowing the inflow of the citizens from other states in India to any restricted region for a definite time period. It stands mandatory for every Indian citizen (other than the locales of Nagaland) to attain this permit in order to enter any restricted area. This step has been taken with an aim of discouraging the illegal visits to these areas. The separation of other states’ officials as well as the tourists from the elements responsible for the promotion of Tourism and development has been done by the Inner Line Permit. Thus, a distinct ILP has been issued for the same purpose. The Inner Line Permit (ILP) Regulation Act (Section III of the Bengal Eastern Frontier Regulation Act of 1873) came into being in 1873 and is still in use in the Naga Hill district and has been regulated in order to safeguard Nagaland’s citizens’ identity by saving them from the exploitation done by the outsiders. Nagaland is not overrun with hotels, like many of the more remote parts of the world Although Kohima has more hotels now that it did when first opened it's borders to tourists from around the world. The Kohima Camp in Nagaland is located amidst the lush green forest land paving some ways for you to have a scenic view of the mountainous rugged terrains. Waiting for your visits are its luxurious tents with each one of them being equipped with a marvellous plush four poster bed accompanied with a private sit-out facility for every visitor in order to enjoy the mesmerizing views of the mountain vistas. The location of this festival’s venue is quite near to the Kohima Camp and is just a few minutes’ drive away. You are surely going to feel like home in these tents once you get back to these homestays after an extreme fun-filled day at the Hornbill Festival. For those who want to be a part of the Hornbill Festival 2019 but are confused on ‘where to say’, the Niraamaya Retreats Aradura in Kohima would be a perfect accommodation for them while overlooking the prolific pine forests. 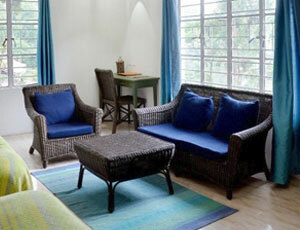 It lies amidst the most splendid sceneries and is thus a perfect countryside escape for every traveller. A rewarding retreat for those who are intending to stay away from city’s hustle and bustle, and expecting some rejuvenating therapies for keeping your mind, body and soul relaxed till the time you are staying here. Not solely meant for relaxation purposes but also for hosting any conference or small parties, this accommodation is truly going to prove as an exemplary stay for you and your travel mates. 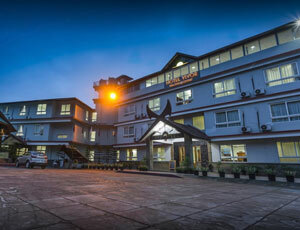 Established in 2007, the heritage hotel RazhuPru is tucked in Nagaland’s capital city while standing since 68 years as a bungalow that was later transformed into a hotel facilitating tourists’ stays. It hails from an immensely intriguing historical tale and was Naga insurgent group’s meeting place during the bygone era. With each and every bit of RazhuPru entailing an innovative tale, some of its ancient elements such as the living room as well as the fire place still hold a high historical significance and as uttered, this bungalow is also known to be the one that has been damaged twice during the second world war because of being bombed back then. Despite of its renovation that commenced from 2006 and continued for one year, many other charismatic elements of this hotel such as the wooden floorings, its rooms and other attics are still unchanged. Hornbill Festival in Nagaland is a completely favoured festivity in the regions of this prolific state and travellers from across the world mark their visits to this event. For accommodating in the best suites available, de Oriental Grand located in Kohima since its initiation has been the most favoured choice for tourists. Everything’s so good in this hotel! Commencing right from the delectable food, remarkable hospitality standard to its ‘calmness packed’ environment and massively positive aura, this stay has brought up the finest services in a single platter for you. This hotel is majorly prominent for its indelible impression in the minds of the visitors who have already experienced the hospitality at this place and have been a part of the extreme nurture as well as care that this stay is intending to facilitate. A perfect fusion of modernity and the traditional showcasing of Nagaland’s culture, Hotel Vivor located in Kohima is aptly defining the elegance of a luxurious stay for the visitors to the Hornbill Festival 2019. Whether you are looking out for business services, fine dining or any recreational stuff, Hotel Vivor has a solution for each one of these. The charming as well as ravishing warm rooms of this property have been fulfilled with an ultimate decoration in their interiors with the help of local handicrafts as well some of the things taken out from the natural surroundings which are giving a traditional touch for enabling you have a stay with the abundant memories lasting forever in your minds. With its assorted atmosphere that has been derived from the ancient Naga Heritage, you are surely going to fall in love with Hotel Vivor! The massively famous War cemetery in Nagaland is a resting ground for all the martyrs in World War II when there was a revolt between the British and Japanese soldiers. The Kohima Museum exhibits the wide culture belonging to Nagamse and incorporates some antique artefacts and miscellaneous stuff that hails from the bygone traditions as well as the lifestyle of Naga tribes. Not at all ‘an ordinary zoo’, but unique in its own way- the Kohima Zoo is serving as a habitat for some species which are in the verge of extinction. Nothing’s artificial here, since it is extended along the hills and thus, provides a pollution-free as well as lush- green environment for its species. An exemplary spot for the shopaholics, the Naga Bazaar is a marketplace in Kohima that consists of an opulent showcase of Nagamese’s culture. You can buy the Naga handicrafts from here. This place is not situated much farther from the venue of Hornbill Festival. Mokokchung is a tiny and a very pretty town in Nagaland that is often recognized as the ‘Cultural Capital of Nagaland’. This ravishing destination is tucked amidst the gigantic mountains, pristine streams and most importantly you will be stunned to see its mesmeric beauty. Talking about some classic spots in Nagaland, the list would be incomplete without the mention of a highly elevated pictorial valley that is none other than the Dzokou Valley. It is clipped at an elevation of 2462 m and its appealing beauty accompanied with some rare species of the most beautiful lilies. In case you are striving to witness the whole beauty of the enchanting Dzokou Valley, then your search for the same ends at the Japfu Peak. This mighty range is known to be the highest point in Nagaland and thus, reaching there will give you a pinch of fun and adventure. The Kachari Ruins in Nagaland belong to the days from the bygone era and while being here, you can know more about Nagaland’s history. The exquisite Tuphema Village of Nagaland is tucked on the top of a hill and showcases the traditional lifestyle of Naga. Tourists can stay in the huts which have been provided by the village’s people along with comfortable accommodation facilities. 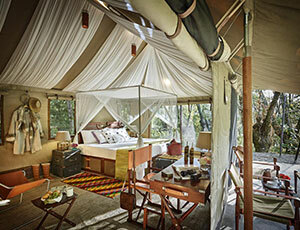 Indulge in the activities of the indigenous species in the wild and get up close with the nature. Giving you a serene environment, the Intanki Wildlife Sanctuary is here to have you some glimpses of Hornbill, Black Stork, Monitor Lizard, Python and also the Golden Langur. Every year, the most awaited Hornbill Festival is held in the heritage village of Naga. Also known as the Kisama, this village gives you an apt illustration of the Naga traditions as well as culture. On comparing the Veda Peak with the other peaks in the whole region, it stands out as the highest amongst them. You have to trek for reaching the top of this gigantic peak and on reaching atop, you are going to witness the most ravishing panoramic view of the two most significant rivers Brahmaputra and the Chindwin. Casting some magical moments for its visitors, the Triple Falls in Nagaland are named so due to the three distinct branches which are formed in these falls. In order to have some adventure, you can indulge in a trekking activity to this waterfall’s base. A special place for the art and crafts’ lovers, the Diezephe Craft Village is filled up with abundant craftsmen who are just engaged in giving shapes to different new things everyday through their artistic skills. Here you can witness the art and culture of the locales. The ‘Unexplored Paradise’ as many of us know it this way- the North eastern provinces of India are fulfilled in every sense. Whether it is any kind of adventurous activity, sightseeing tour, nature and wildlife’s sights or any other miscellaneous purpose, every traveller’s search for satisfaction ends here. The Seven Sister States i.e. Arunachal Pradesh, Assam, Meghalaya, Manipur, Mizoram, Nagaland and Tripura are going to fill up your inner senses with utmost positivity and happiness. Encompassed by the three mighty regions of Bhutan, China as well as Myanmar, Arunachal Pradesh is inviting you to witness the Splendor of its nature, the star gazing of the beautiful night sky as well as the aesthetic exhibition of different shades during the sunrise and sunset. The hospitable nature and the ever-smiling faces of its locales are surely going to lift your mood up and provide you utmost happiness. The state is packed with the beautiful monasteries on one side and the pristine streams as well as gigantic mountains on the other side. Its salubrious weather conditions are perfect for you to entangle yourself in the serenity that lies within the surroundings of Arunachal Pradesh. Commonly recognized as the ‘Land of red rivers and blue hills’, Assam has been proving as a heartthrob for thousands of travellers every year. The beautiful locales greeting its visitors like they know them from the very starting has been one of the most primary reasons for majority of the tourists favouring this state for being explored. Its hidden gems are really awaiting everyone’s glimpses and the delectable cuisines are waiting for you to try them out! Once you are here, you have already got a highly compelling reason for returning back to Assam since the scenic beauty of this place truly has a potential to draw everyone’s attention. Meghalaya is a state that is impressively rich in the flora and fauna due to the moderate rainfall conditions in its areas. Apart from this, its ponds, rivers and other streams are literally so pristine that you would be able to look deep down into the water and that too from the outside. The lovely hills have land locked this territory and are thus, acting as a facilitator of a good number of heart stealing views and mesmerizing sky during the sunset and sunrise. You are going to witness many colourful butterflies in Meghalaya and apart from that, the state is also majorly prominent for its exotic orchids. Its capital Shillong acts as a perfect resort for the tourists by providing them the adequate facilities for sightseeing, stay and other adventurous fun. 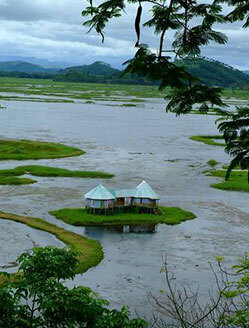 Tucked in India’s north eastern corner, Manipur is here to entangle you in its natural beauty. Its aura can easily allure any adventure, history, or the nature lover since it has something for every person. This gateway to South East Asia is a retreat for every traveller who is seeking for a perfect trip with no shortcomings. Manipur lies in the foothills of the Eastern Himalayas and hails from an enriched cultural past initiated a bundle of years ago. One can notice the craftsmanship as well as the artistic skills of the people here through handicrafts which are present here either for sale or just for show in the prominent museums. 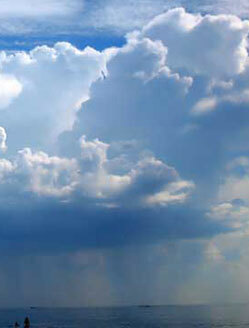 Mizoram is bounded by two countries which are none other than Bangladesh and Myanmar. Majority of the inhabitants here are the tribesmen who have been contemporarily following the religion of Christianity. Not only this, but the most noteworthy thing is that Mizoram is counted amongst the most literate states in India. Its scenic landscapes comprising of the blue lakes and the rugged mountains are a happiness for the travellers who are intending to attain some relaxation away from the continued hustle and bustle of the city life. In order to experience the outdoor sports and activities in Mizoram, mountains and rivers are best suited for these purposes. 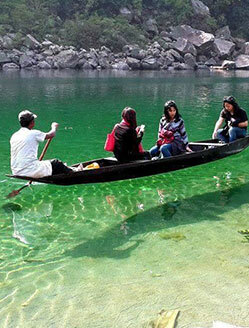 Tripura is literally a wonder! Bringing for you a remarkable fusion of the old and modern, this state is carried with an unbelievable blend of distinct styles which are surely going to impress you in every sense. Here is the prevalence of 19 scheduled tribes and the majority of the population belongs to the Bengali community and mentioning about the main religions followed, they are Hinduism, Buddhism, Islam and Christianity. Its roots are not only belonging to the history but also from some mythology due to the prominence of the Kingdom of Tripura in the bygone era.